Quickly find the deals you are looking for: Search for your favorite deals by using any business name, category or keyword. Not looking for a specific deal? Then filter out irrelevant offers by location or category including: food, activities, health & fitness, beauty, travel, retail & services. 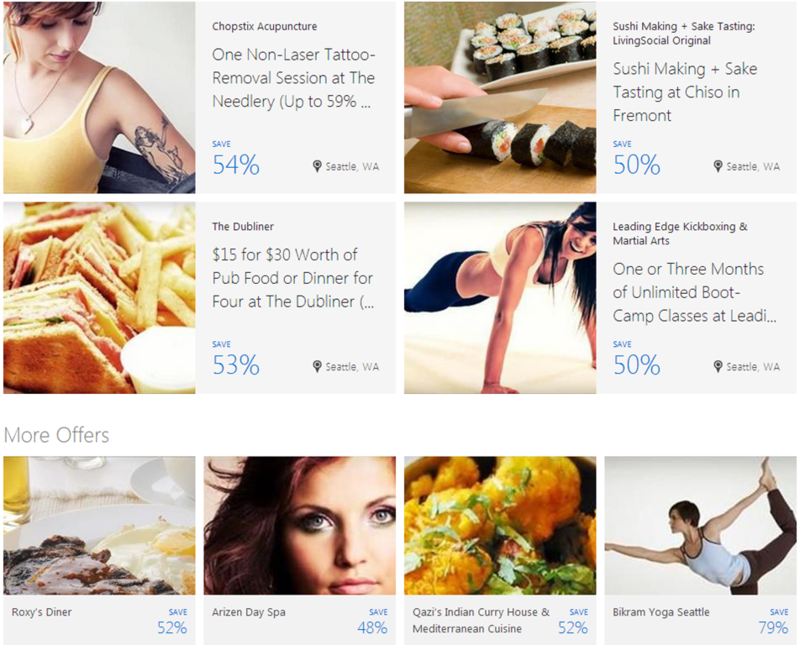 In short, Microsoft is trying to create a hub for all your deals. 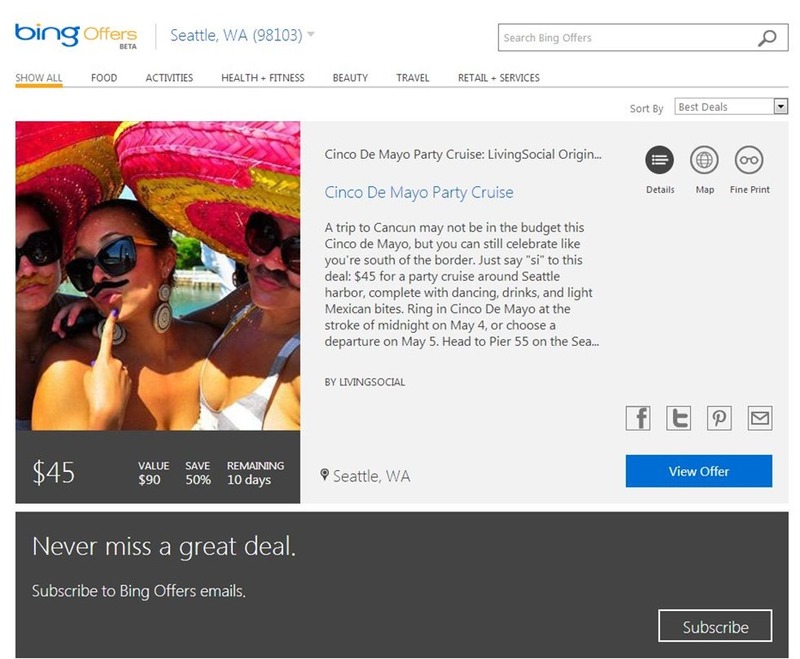 If that sounds familiar, that’s because it is: Microsoft launched a service called Bing Deals back in March 2011. All of us love getting great deals. However, the difficulty lies in finding the right deal for something you need. If you are looking for tasty treats, fun activities or a relaxing spa, need to fix your home or automobile or just want some retail therapy, Bing Offers provides simple ways to discover the best deals closest to you. This is a huge undertaking by Microsoft as it will require a constantly-updating algorithm to surface the most relevant deals to as many people as possible. Mind you, the process is very similar to Web search, so the Bing tie-up makes perfect sense. Yet there’s one more little something that makes this perfect to be a Bing service: the US limitation. While we understand Microsoft wants to test this service locally before an international rollout, we hope Offers doesn’t stay stateside too long, as many Bing features often do. Update at 1:50 PM EST – As pointed out by TechCrunch, Bing offers is the successor to Bing Deals. That service is no more. Read next: Kitesurfing and the sharing economy: What's Loïc Le Meur been up to since selling Seesmic?